It is imperative that we have clear guidelines on the judging, development, positive and negative evaluations of the horses! It is not alien to those who belong to this great family of the PERUVIAN PASO HORSE, that the results of the shows, were, are and will be a guide based on which the standards will be followed in the breeding, selection and reproduction, of the “best” specimens of the breed. This is why it is imperative in my humble understanding and know how, to achieve at least 5 objective points of agreement and consistency in the assessment of the horses in each competition; which of course I do not pretend that are the only ones to take into consideration, as I would never put my knowledge over the wisdom and experience of so many Judges of Peru, of my country (Argentina) and all other countries that carry out this noble enterprise. 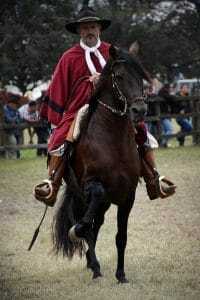 1: The Peruvian Paso horse is judged, and presents itself best, at a slow gait, being this natural air of the breed.  The paso llano is where you can appreciate the quality of its pisos, the cadence, smoothness, the impulsion, the proper execution of their rear legs, completing this movement at the height of the tail, never having the hocks behing the body mass and of course have no movement of any kind, keeping the legs within line of hips, having harmony, elegance and looseness of the front legs and shoulders. 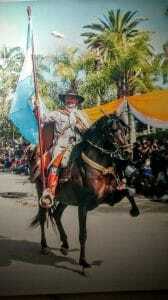 2: The Peruvian Paso horse should be able to demonstrate the sobreandando, where warranted, on the understanding that it is necessary that the Peruvian Paso horse can extend their natural air, without any implication that will make it lose its cadence, smoothness, or impulsion, preserving the correction of their rear legs and of course in this speed is where they can most show off their front end and termino. 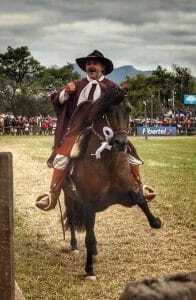 3: The Peruvian Paso horse must be able to execute all of its speeds without interruption in their speed changes, as well as a condition of correction and quality, the stillness of his rump, and at this point we need to place particular emphasis since the movements of the croup are produced exclusively by the incorrect execution of the rear legs, and by virtue of the fact that the engine of the Peruvian Paso horse is in the rear is a point to be taken into account if we want to nurture and reward correct horses, since it is much easier to add virtues that correct defects. 5: The Peruvian Paso horse must be conformed in a correct and harmonious way, because of its conformation arise the conditions to run correctly execute its pisos, and at this point we must be very rigorous and not miss some faults that today are appropriating our Peruvian Paso horse. The spine must be short, the croup should be powerful and with a good insertion of the tail which should be at the same level of the whither, or lower, but it can never be higher than the withers, the ribs should be deep, the angle of the hip must have the inclination enough for their union with the femur, and an angled hock that allows the horse to stand with their legs under the mass, which ensures, on the one hand, that the specimen can mess with ease and naturalness, and as a result will give you extra impulsion. Of course we need to stay away from a straight leg angles, the consequences of which are very harmful for the durability of the Peruvian Paso horse. The head should be medium to small, their short ears, his expressive eyes, nostrils, with a long neck, with a clean union, both in the neck and head, and well as the neck and back, with short pasterns, short cannon bones, clean strong tendons, with strong hooves, large and well balanced. This is a summary of the reflections that I have been able to develop over 20 years raising this noble breed and the incomparable experience that gave me the ability to judge our beloved Peruvian Paso horse. I understand that in order to achieve a work horse that is able to compete and also win, we must find that the Peruvian Paso horse is correct and strong, which will give as a result something fundamental in any breed – longevity with strength. We should seriously reflect on the homogeneity of our breed, because as a breeder of cattle where the maximum and minimum standards are many more limited, I think it would be good to discuss short term modification of the breed standard that has a difference of 10 cm for females and 13 cm for males, and of course eliminate cryptorchidism and infertility, or assisted and unnatural fertility, since this only leaves us altering the breed. We must go back as far as possible to the origin of our Peruvian Paso horse, raising them in the most natural ways as possible, and selecting horses by the lack of defects and not on the excess of virtues which can sometimes impossible to cancel or delete in several generations.